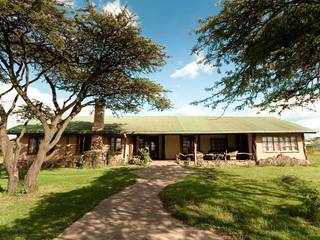 Cottar’s Bush Villa is an exclusive property situated within a large private concession in the game rich Maasai Mara, south western Kenya. 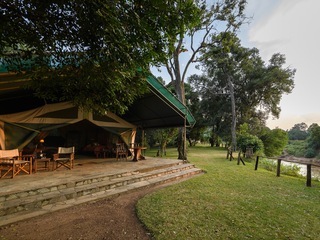 This elegant, upmarket retreat is located in the vast wilderness bordering both the Maasai Mara and Serengeti game reserves, in an area renowned for its wildlife. 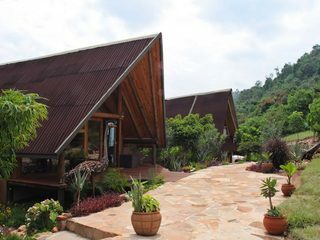 The sleek, contemporary villa is available to rent on an exclusive basis and is ideal for groups and families. 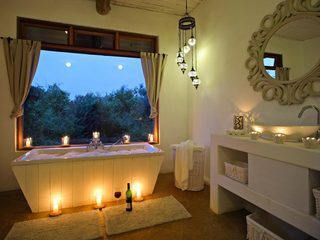 The property offers deluxe accommodation to 12 guests along with attentive, discreet service from a dedicated team of staff. 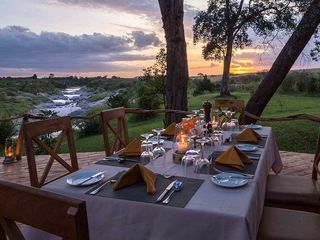 Boasting excellent guiding and superb game viewing, Cotter’s Bush Villa will appeal to travellers at higher end of the budget spectrum seeking an exclusive and highly comfortable safari experience in a stylish, private setting. 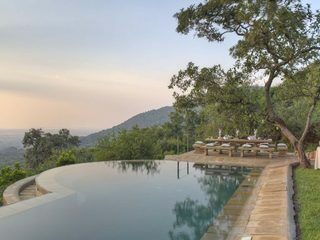 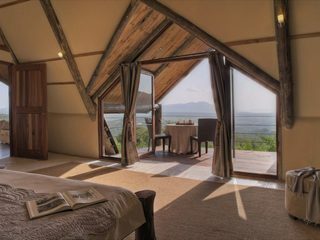 The villa sits flanked by the Olderkesi Hills with sweeping views of the surrounding savannah which plays host to diverse and abundant wildlife including lion, leopard, giraffe, hyena, elephant, rhino, and cheetah, plus over 450 species of birds. 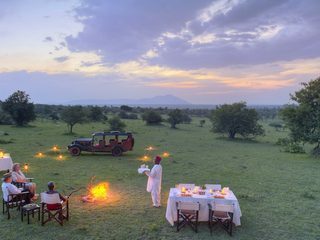 The region is famed for the annual July to November migration when thousands of wildebeest and zebra cross from the Serengeti to the Mara, and the property’s prime location ensures a ringside seat for this breath-taking spectacle. 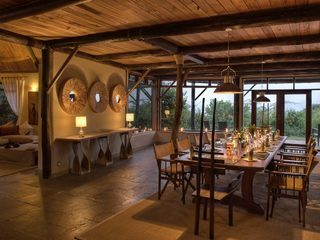 Extensive guest areas at the villa include a spacious lounge with satellite TV and a DVD player, and an elegant dining room. 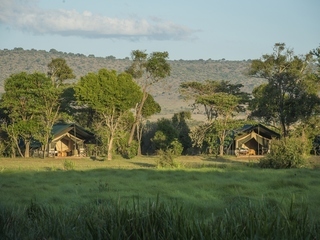 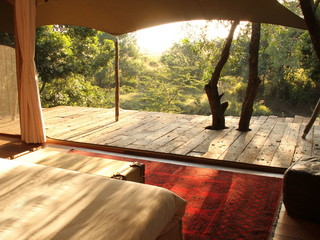 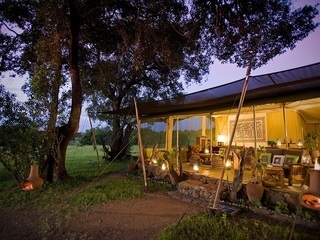 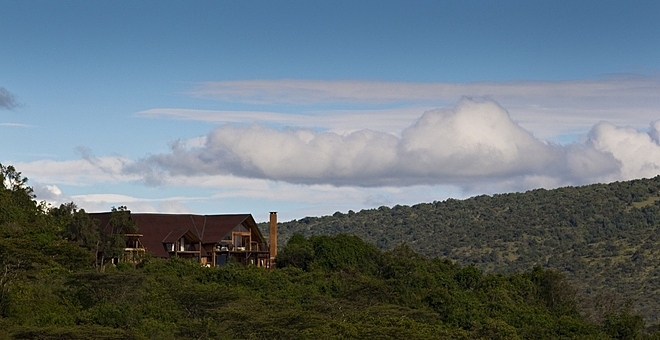 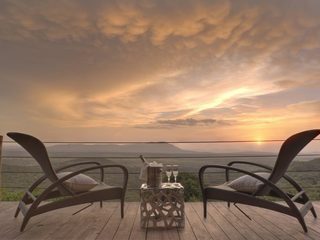 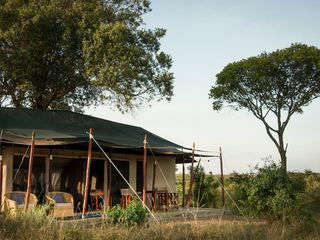 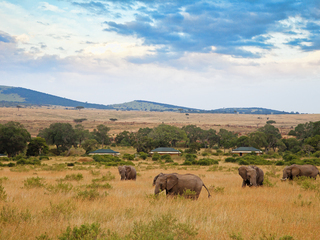 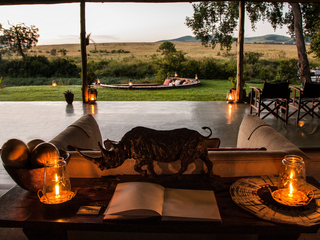 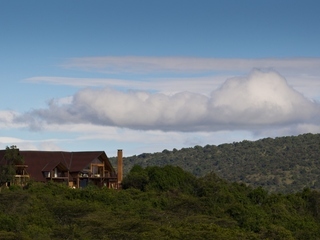 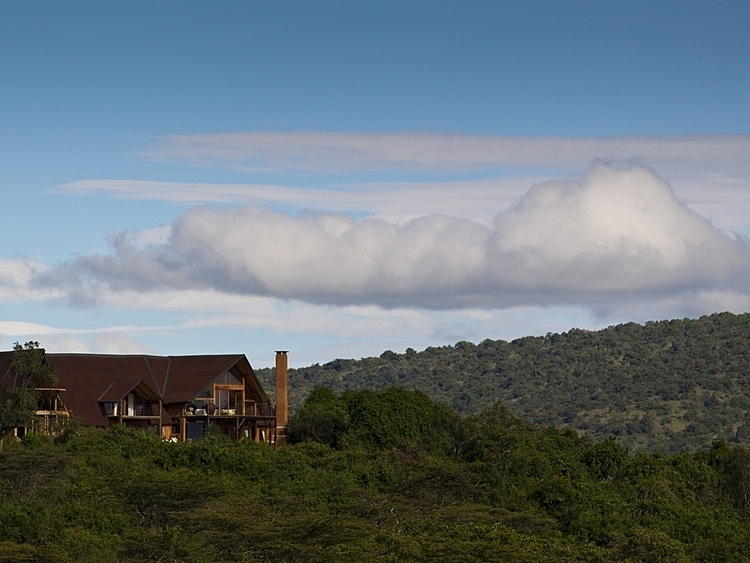 Outside is an expansive viewing deck overlooking the Mara plains. 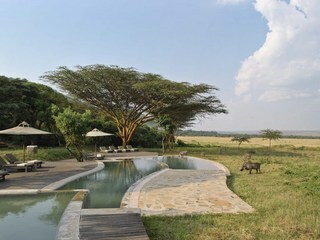 Adjacent to the house is a lovely 25m swimming pool, with yet more amazing views. 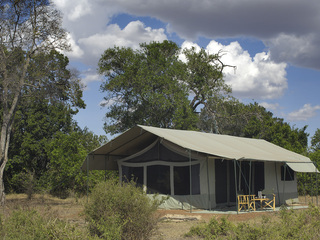 Complimentary Wi-Fi is available throughout. 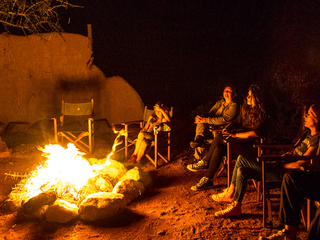 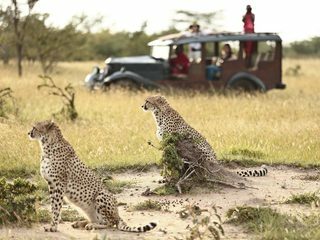 Activities include private day and night game drives with highly trained professional guides, for which private safari vehicles and guides are provided. 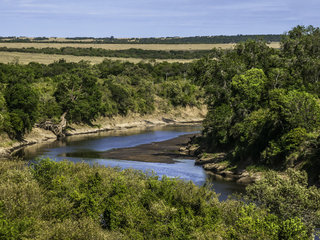 Guided walks, river swimming, and fishing are also on offer, as well as atmospheric alfresco sundowners and dinners in a secluded bush location. 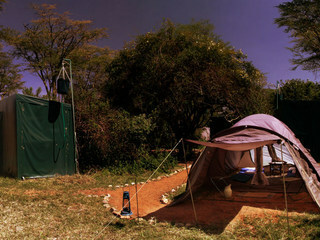 Balloon safaris can be arranged subject to additional cost. 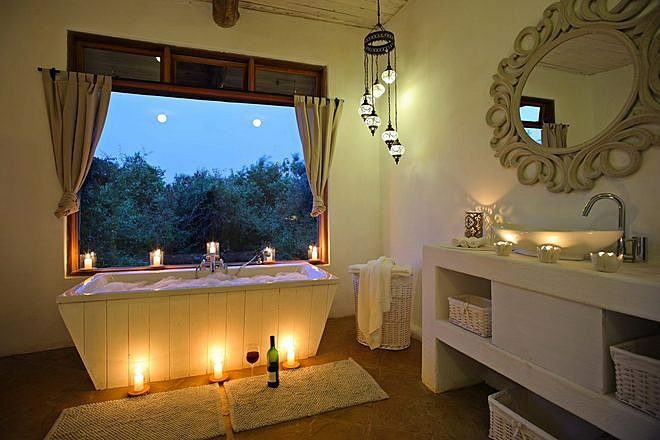 Massages and spa treatments are also available. 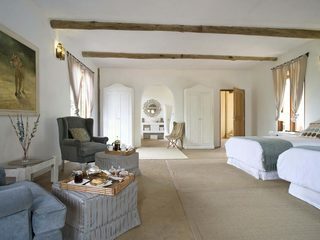 The accommodation comprises five sleek and spacious bedrooms, situated on the ground and first floors. 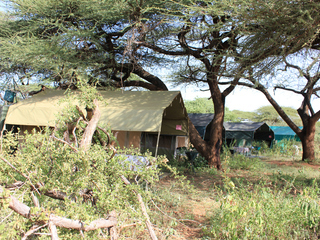 All have either double or twin beds and ensuite bathrooms with shower, and some with bath. 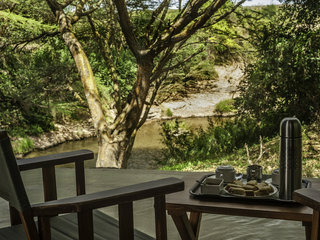 Each room comes with a tranquil private veranda or patio with panoramic views. 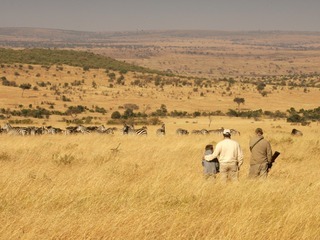 Children of all ages are warmly welcome. 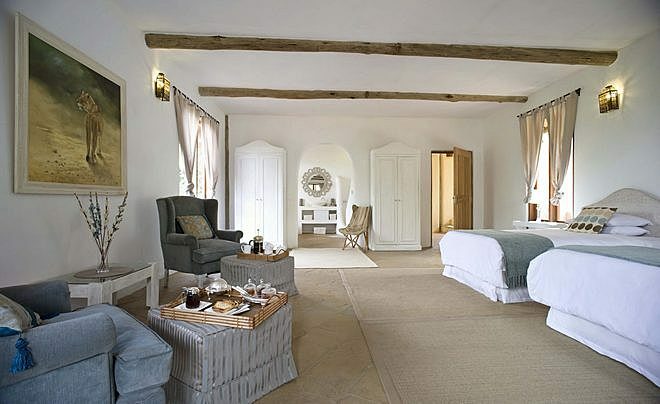 Under 5s stay free of charge, and several of the rooms can accommodate an extra bed as required. 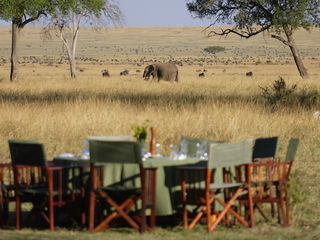 Early dinners and children’s menus are available, along with a programme of child friendly activities. 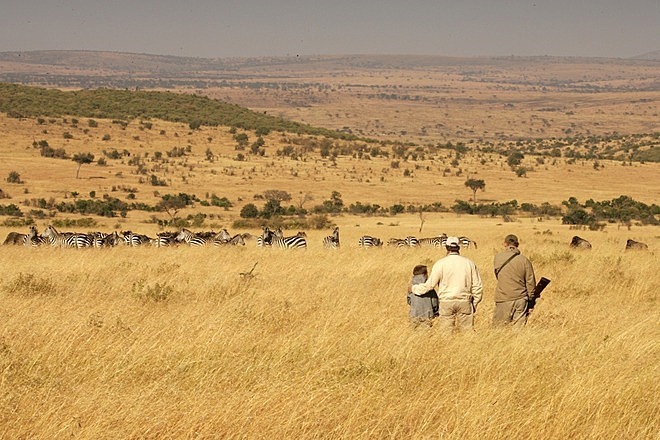 A complimentary babysitting service is provided upon request.